At Spearwood Primary School we recognise that The Arts engages, inspires and excites the imagination and which encourages students to reach their creative and expressive potential. Dance, Drama, Media Arts, Music and Visual Arts provide opportunities for students to learn how to create, design, represent, communicate and share their imagined and conceptual ideas, emotions, observations and experiences, as they discover and interpret the world. Spearwood Primary School runs two specialists Art areas: Visual Arts and Music with dedicated rooms. 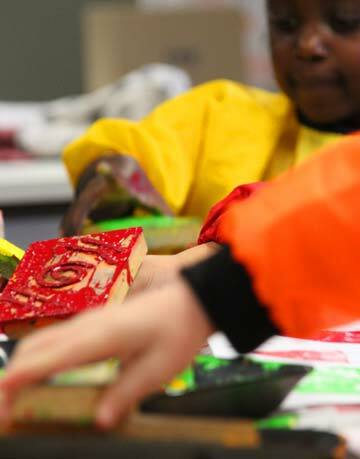 Spearwood Primary students from Pre-Primary to Year Six study Visual Arts under the guidance of their class teacher. The lessons are held in the Visual Arts Classroom, this modern well equipped facility includes a professional kiln for clay and is located adjoining the new undercover area. Classroom teachers do many extra visual arts activities in their classrooms as part of integrated teaching and learning programs. 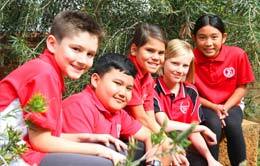 Kindergarten to Year Six students have the performance arts subject of Music under the guidance of their class teacher. These lessons are held in the Music Room adjoining the new undercover area. Five students in years 5 and year 6, learn guitar. The students are selected in year four with a Music aptitude test and then offered a place in the Instrumental program. The acceptance of a place in the program has the expectation that students will be committed to learning the instrument and practising daily at home or in their own time.